SKS KL is the abbreviation of Sistem Kenderaan Seremban - Kuala Lumpur. 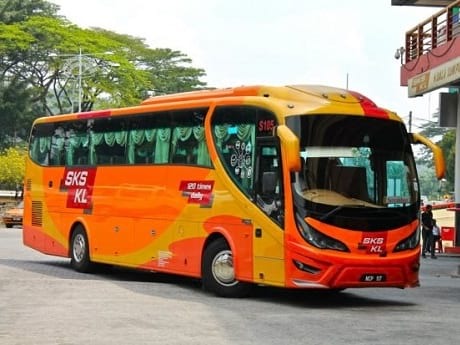 SKS KL is a transport company based in Terminal One Mall, Seremban that deals with passengers who are travelling for long distances around Malaysia. The buses deployed by SKS KL are stylish and fully equipped with necessary facilities such as air-con, reclining seats and spacious legroom. SKS KL cares about their customers’ needs. The stylish-furnished buses offered by SKS KL is to ensure their passengers have a comfortable ride during the long hours on the road. The most popular routes provided by SKS KL is the bus from Seremban to Kuala Lumpur. Among all the trips provided by SKS KL, bus from Seremban to Kuala Lumpur has the most stable schedule. The trip for bus from Seremban to Kuala Lumpur takes around thirty minutes each. Some other SKS KL routes include Seremban to Tanjung Malim to Ipoh, Kuala Lumpur to Seremban to Kuala Pilah, Tanjung Malim to Kuala Lumpur, Seremban to Muar to Batu Pahat, Seremban to Air Hitam to Kota Tinggi to Johor Bahru, Seremban to Putrajaya, Port Dickson to KL and many more. SKS KL Express bus tickets are now available for online booking at BusOnlineTicket.com. Check for SKS KL schedule and book SKS KL bus tickets online now!